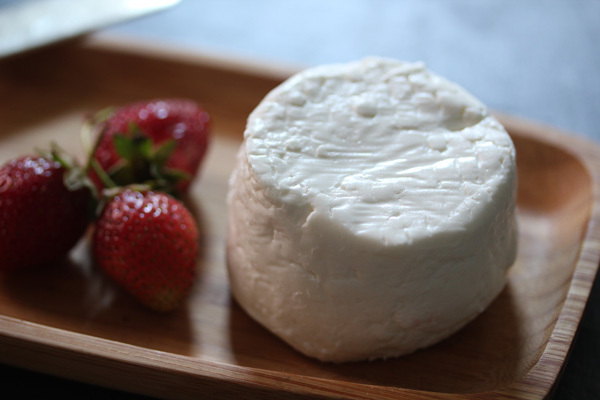 Bendorf and Henry are in their second season of cheesemaking. “We started with one cow, but then we discovered goats!” Bendorf beams. Her affection for her animals is evident—she enjoys walking her goats in the forest—and you can taste that joy in her cheese. The plain chevre is herbaceous and delicate without much tang—similar to the Loire Valley goat cheeses that are so famously balanced. The batch I tried had a hint of wild onion.